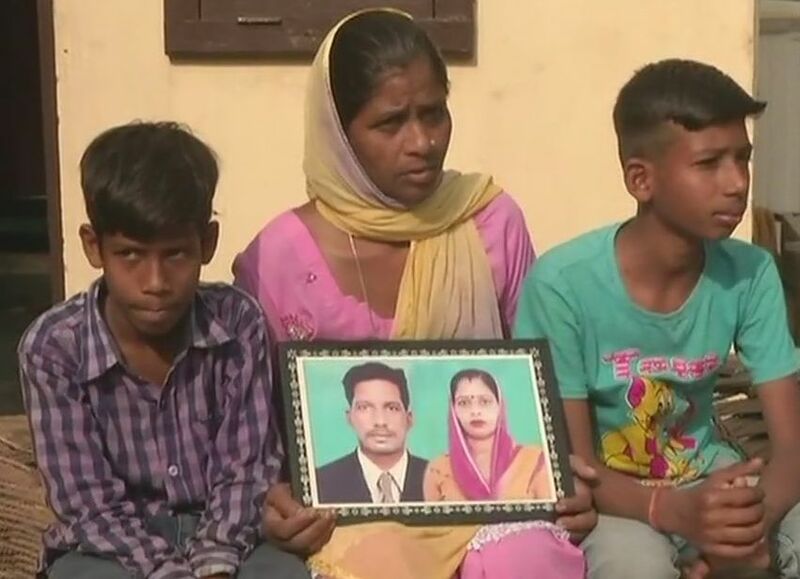 As they try to come to terms with the grim reality, family members of the 39 Indians massacred years ago in Iraq by terror organisation Islamic State have one question: why did the Centre keep them in the dark all this while? 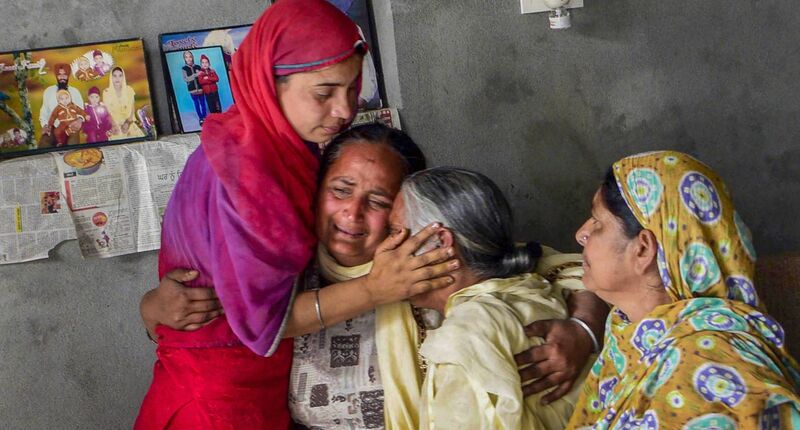 Heart-rending scenes were visible outside the homes of the deceased in Punjab as wailing family members tried to give vent to their pain having heard on TV, External Affairs Minister Sushma Swaraj's statement that all 39 Indians in IS captivity were dead and their bodies had been recovered. Several relatives of the killed workers said they were not officially informed about their loved ones by any government authority. What do we say now? asked a dejected Sarwan whose 31-year-old brother Nishan was among those killed. "The government kept us in the dark all these years," Sarwan, who belongs to Amritsar, claimed. Now after four years, they are making such a shocking statement, he agonised. "We met the Union minister (Swaraj) 11 to 12 times and were told that as per their sources, the missing Indians are alive. They have been saying that Harjit Masih, the lone survivor, is a liar. “If your sources have been saying they were alive and now suddenly what happened. The government should have told us they have no information about missing Indians rather than making false statements," said Sarwan, who last heard his brother's voice over a phone call on June 21, 2014. With hopes dashed all of a sudden, anger seethes out. “It is the government's biggest failure. Most of the missing Indians were from Punjab. When the government could save nurses from Kerala why it completely failed in saving other Indians," he asked. We have been seeking time from the minister for the last several months but we were not given a chance to meet her, he claimed. An inconsolable Gurpinder Kaur, whose 27-year-old younger brother Manjinder Singh was among the missing Indians also asked similar questions. "Initially, they were saying the Indians are alive. Now the minister today made such a statement," Kaur said, her voice choking. We were not even told about it; we came to know from the TV, she added. Manjinder Singh, who was into farming, was pushed into Iraq by fraudulent travel agents, she claimed. Manjinder Singh wanted to go to Dubai, said Kaur. "I am trying to know from the government how all this happened," she said. "We demand from the government to provide us the DNA reports. It's being politicised. We had been running from pillar to post since four year and now we're being told via TV that we lost one of our own," Kaur said. "Yes, she (Swaraj) was supposed to announce this in Parliament first but he was part of our family. All she cared about was her reputation. She used to say they're like her children, if that's the case where's her sorrow?" she asked. "We should have been contacted as soon as they received the information. Had that been done it would not have been such a huge blow. We feel betrayed from all sides," she said, adding, "Why did she keep saying they're alive & she'll bring them back? She could've said she'll bring them back only if they're alive. I want to see DNA reports. We'll get answers only after meeting her." The family of Gobinder Singh also learnt about the shattering news also from TV channels. "We have not received yet received any call from the Union ministry about the confirmation of death of 39 Indians," said Davinder Singh, the deceased's younger brother. Gobinder Singh was a resident of Murar village in Kapurthala. The family of Gobinder Singh had earlier met External Affairs minister Sushma Swaraj several times. "We met the Union minister 12 times but every time we were told the 39 Indians were alive," he claimed. But we did not know that what Harjit Masih (lone survivor) used to say would turn out to be true, he said. We now request the government to announce financial help and give a government job to the son of Gobinder Singh so he can take care of his family, Davinder Singh said. "We just got false assurances from the government," said Dimplejeet Kaur, sister of Dharminder Kumar, 27. "All our hopes were dashed today," she said. Last year, the government of India collected DNA samples of the family members of the missing Indians. Balwinder Kaur from Manochahal village in Tarn Taran district too struggled to hold back her tears. Her son, Ranjit Singh, was among the 39 declared dead. "Being a mother, it is difficult to bear the permanent separation from my son... Nobody from the Indian authority was in a position to tell me the plight of my son," she rued. 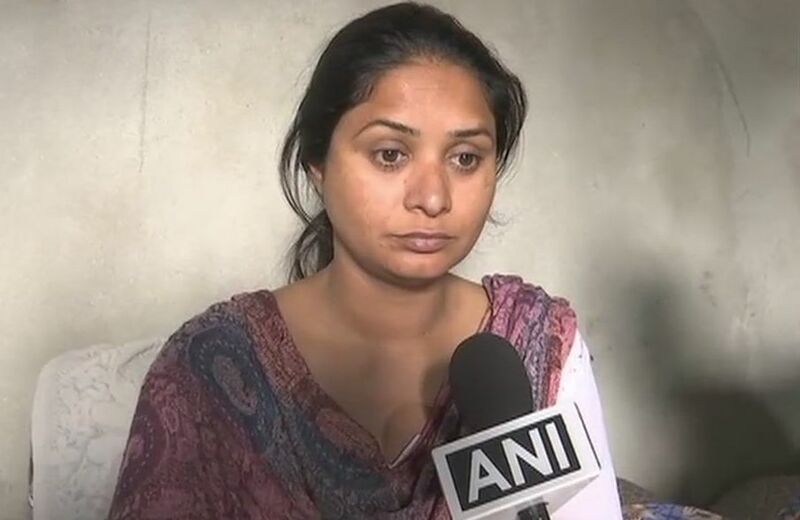 Gurmeet Kaur from Jallalusma village in Amritsar district said she was informed via a telephone call that her brother Gurcharan Singh was 'stuck in bad circumstances' in Iraq. She said nobody informed her about whether he was dead or alive, and on Tuesday she was told her brother was killed by IS. The news of death of two youths from Hoshiarpur has shell-shocked their family members in villages Jaitpur and Chhauni Kalan. Kamaljit Singh of village Chhauni Kalan went to Iraq in 2014 to earn for his family, his younger brother Parwinder Singh Lucky said. Kamaljit Singh is survived by wife Harwinder Kaur, a son and a daughter, he said. The family approached Sushma Swaraj, Union External Affairs Minister, nine times to know about the fate of Kamaljit Singh, Lucky said claiming ‘she did not given a suitable reply’. Lucky demanded suitable compensation to the family and a government job to the deceased's wife. A stream of villagers was visiting their house to express their condolences. 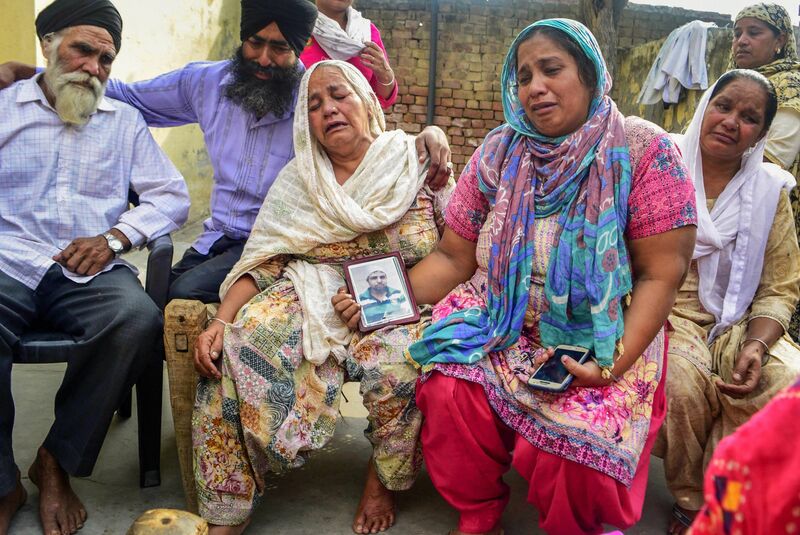 In village Jaitpur, Reena Rani, sister-in-law of deceased Gurdeep Singh, 39, son of Mukhtiar Singh, is as grief-stricken. Gurdeep Singh went to Iraq to earn his livelihood in 2013. He is survived by a 5-year-old son and a 7-year-old daughter and wife Anita Rani. Anita Rani is working to provide mid-day meals in schools to earn for her family. The family also demanded a suitable compensation and a government job for the deceased's wife. 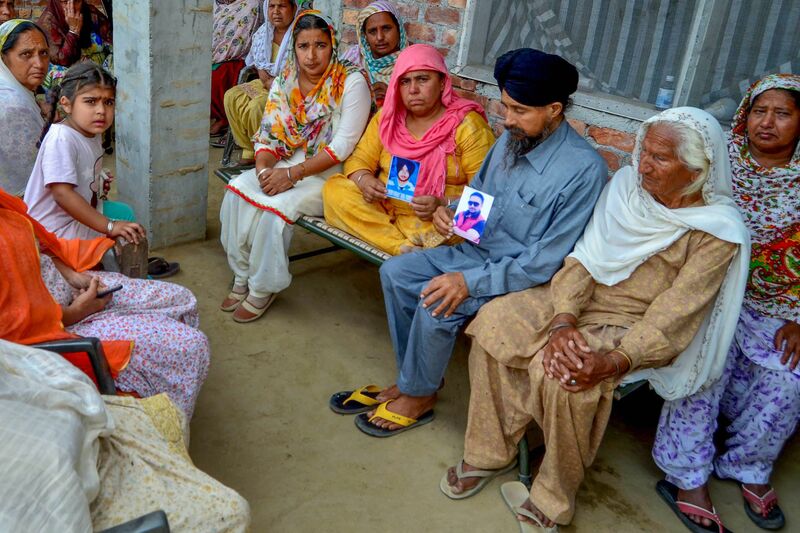 In Rurka Kalan in Jalandhar district, Manjit Kaur, now the widow of Devinder Singh, is inconsolabe. "All hopes that Union External Affairs minister Sushma Swaraj was giving us in several meetings stand dashed to ground. I have come to know about the death of my husband through media. We have not received any information about it from the government," she said. Devinder Singh belonged to village Chak Des Raj but lived with his in-laws' in Rurka Kalan. Amid tears, Manjit Kaur told newsmen that her husband left for Iraq in 2011. He worked there as a steel fitter, she said. "My last telephonic talk with him was on June 15, 2014", she said crying incessantly. Manjit Kaur said she, alongwith other family members of concerned Indians, had met Sushma Swaraj several times in New Delhi. 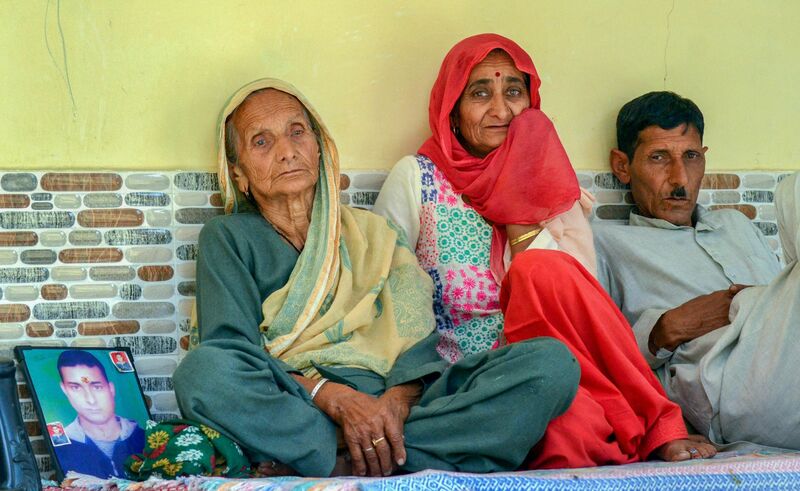 The family members of Khokhon Sikdar are finding it hard to believe that he will never return. "We are in a state of shock. All these years, we were hoping that he was alive and would return one day. Today all our hopes were dashed," Subhas Biswas, the brother-in-law of Sikdar, said. 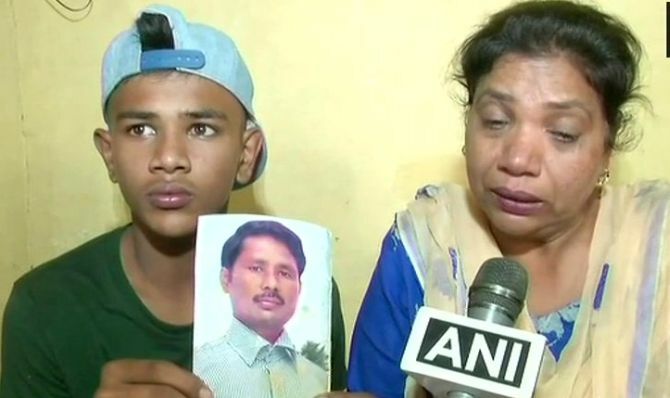 He said a few months ago, officials from New Delhi had come to Sikdar's house in Tehatta in Nadia district to collect the blood samples of the family members for DNA testing. Sikdar is survived by wife Namita, a five-year-old son and a teenage daughter. His family has requested the government for financial help as they have lost their lone breadwinner. "We hope that the government will help the family financially. Khokhon was the only earning member of the family," Biswas said. Manjeet Kaur, wife of Davinder Singh, said, “My husband went to Iraq in 2011 and I last spoke to him on June 15, 2014. We were always told us that they were alive. We don’t demand anything from the government." “My husband went to Iraq in 2013 and he was kidnapped in 2014. We don't demand anything from the government. I have a small child, I have no support," said wife of Surjit Kumar Menka. Rajesh Chand, father of Aman Kumar from Himachal Pradesh said, "He had left for Iraq in 2013. He used to talk to me every Friday. The government kept saying that they are all safe. What demand do I make from them? I have already lost him." Kamaljeet Kaur, wife of Roop Lal, said, "He had left for Iraq seven years ago. We last talked to each other in 2015. They had taken DNA samples 2-3 months ago. I don't know what to say." Among the 39 Indians who were missing, most were from different places in Punjab like Amritsar, Gurdaspur, Hoshiarpur, Kapurthala and Jalandhar. Swaraj had told Parliament on Tuesday that all 39 Indians, abducted by the IS in Iraq nearly three years ago, were killed and their bodies were recovered. As many as 40 Indians were originally abducted by terrorist organisation IS in June 2015 from Mosul in Iraq but one of them escaped by posing as a Muslim from Bangladesh, Swaraj said in a suo motu statement in Rajya Sabha. The remaining 39 Indians were taken to Badoosh and killed, she said. Search operations led to a mound in Badoosh where locals said some bodies were buried by the IS. Deep penetration radars were used to establish that the mound indeed was a mass grave, she said, adding the Indian authorities requested their Iraqi counterpart to exhume the bodies. Swaraj said the mass grave had exactly 39 bodies, with distinctive features like long hair, non-Iraqi shoes and IDs. The bodies were sent to Baghdad for DNA testing. DNA testing by Martyrs Foundation established the identity of 38 Indians while there has been 70 per cent matching of the DNA for the 39th person, she said. Minister of State for External Affairs V K Singh will be flying to Iraq to bring back the bodies on a special flight, she added.